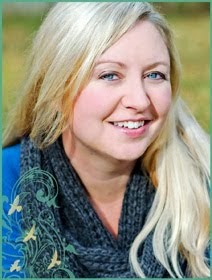 Kristin Creative: LOST, Contests to Enter, and Other Stuff! Well, let's just get the LOST conversation out of the way. I was disappointed, yet I don't know what I was expecting. Thanks to Natalie Murphy for the Over the Top Award!!! And Thanks to S.B. for the Happy 101 Award!! First of all, if you haven't yet entered my 100 Followers Contest, you have until this Friday at midnight, Central Time. ENTER ON THIS THREAD!! The Wolf Within Prize Pack Giveaway from our very own Kristi Chestnutt! If you're looking for a bit of laughter, something completely crazy and nonsensical perhaps, my friend just created the most hilarious new blog called Not Quite True. He's like his own plot generator. Follow his blog for a daily dose of hilarity and unexpected inspiration. He even helped me come up with some scenes and dialogue from my novel Between the Letters!! Inspiration comes in all forms!! Every season Lost starts and I'm like, "What?!" But they always redeem themselves. I was disappointed as well. My current LOST theory is that Sayid is actually Jacob just as the Man in Black turned into Locke (except Locke kept his body and the Man in Black seems to have just shapeshifted. Oh, I don't know. Stupid show! Sucking me in and giving NO answers. Only more questions. OOOO Karen, that's a SUPER good theory!! I'm with you on that! Sayid is the new Jacob! Desmond wasn't on the original flight 815 because he crashed his boat on the Island. But if the blast worked, and the Island sunk, then he would have sailed uninterrupted to Australia and was flying back to the states on that flight. Not sure where he disappeared to though, maybe he seat jumped again because he thought Jack was boring. BTW...You ROCK! But everybody here already knows that. Kim - It better get better!! 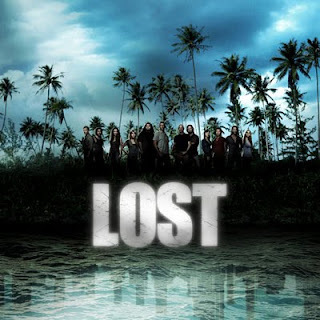 I recorded Lost, but I haven't watched it yet. I'm disappointed to hear that you didn't like it. Guess that series has just gone downhill. Amber - I have faith that it will get better... I think maybe my expectations were just too high. Oooh, thanks for the links! There's a lot of good contests going on! Thank heavens I've stayed off the blogs for a few days. I didn't get to watch Lost until today. Yeah...Two realities? I'm not sure what to think about that. And I thought the same thing about Sayid being Jacob. Wow...LOVED this post. Totally agree about LOST...why am I not suprised? HA! It felt to me like they totally went with the easy route giving everyone every possible scenario and it didn't really ring true for the characters either. Hopefully it will get better. You would have thought the premiere would have been a bit more dramatic. Completely agree with the CGI scene as well...that was random, out of no where, and poorly done. Ok, gotta' run...I have tons of new contests to investigate...thanks for the tips! I am sooo lost by LOST!! I love the show but as it goes along it just keeps making you think WTF?